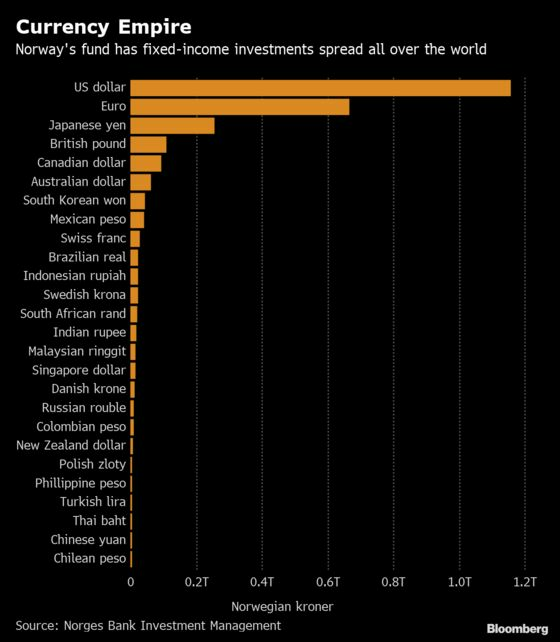 The fund will still have leeway to invest up to 5 percent of its bond portfolio in emerging markets, or about $15 billion. It currently owns about $28 billion in such investments, with the biggest holdings in South Korean and Mexican debt. The proposal was made after the fund got approval to lift its stock holdings to 70 percent of its portfolio. It has argued it makes little sense in owning government bonds across the world since they have become more correlated and that it’s also exposed to a wide array of currency risk through its ballooning stock holdings.